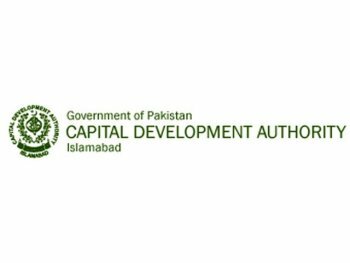 The CDA union has called for a protest against illegal allotment of plots to 109 officials. The union is demanding that instead of officers, labourers working for the authority should be allotted plots. The head of the CDA union told that they will go to any extent against the illegal allotments of plots to deputation and regular CDA officers, since the allotment letters were issued without the knowledge of the sitting chairman and in a fraudulent manner. On the other hand, CDA officers’ welfare association claimed that out of 109 officials who were given plots, only 22 were on deputation. Besides there is no discrimination between the deputation officials and regular employees of the civic agency related to allotments of plots. The officials will be given residential plots in Sector D-12 and I-8. The deputation officers of grade 17 and 19 were also allotted plot numbers. Plot numbers were given after balloting that was held in the mid of 2012. The union leader said that CDA workers’ plots were given to those who were officers while labourers working for the authority were not even considered. The union chief mentioned that they were given verbal assurance by the chairman CDA and member administration that they had not issued any plots. However, the union leader wondered how 109 officers got an allotment letter which is a shady affair. He said that he will approach chairman CDA and other members of the authority to get a clear opinion on whether the plots to the working class will be allotted or not. Otherwise, the union has other options like going on a strike against the management. According to one official, CDA’s chairman had formulated a committee to address the grievances of all the cadres related to the allotment of plots.